Your suppliers can easily acknowledge they have received an order and then confirm orders as shipped using your web portal. This is particularly useful for drop-ship orders you have sent to your supplier so that they can inform you that the goods were sent to the customer. 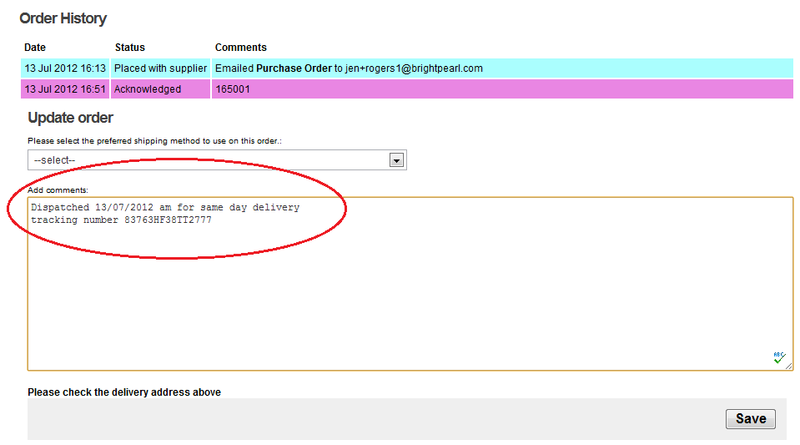 These updates are identified in Brightpearl by automatically updating the purchase order status. 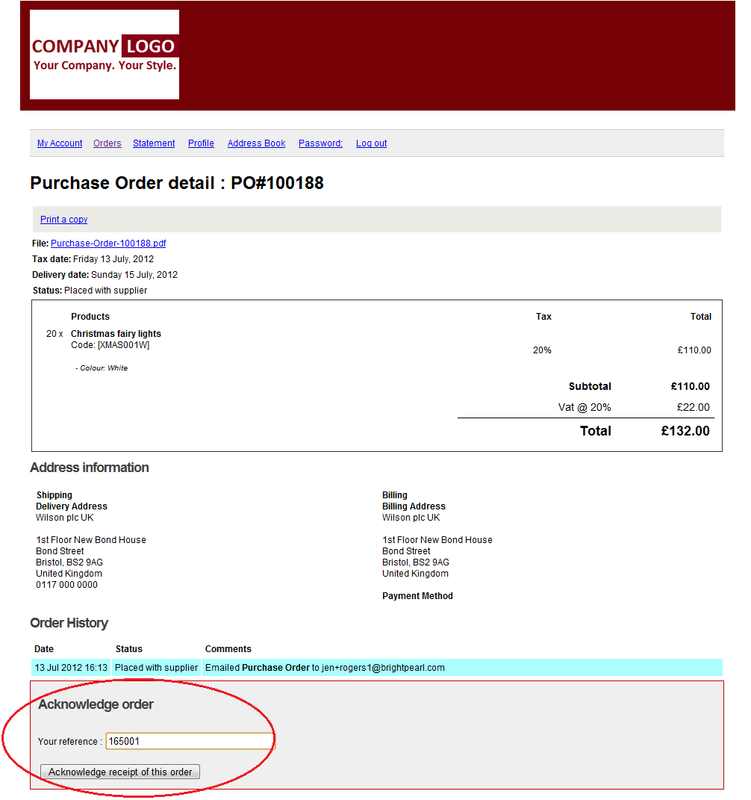 First of all you need to create purchase order statuses that will indicate to you that the order has been updated. You'll need an "acknowledged" and a "shipped" status, of course you can use a status that you already use if desired. Go to Settings > Purchases > Purchase statuses to add new statuses. You'll need to select the relevant status in the purchase settings as your "acknowledged" and "shipped" statuses. Go to Settings > Purchases > Purchase settings . Each time an order is marked acknowledged or confirmed as shipped by your supplier, these are the statuses that the order will be given. Your supplier will need access to your web portal. When they receive an order from you they can log in to view the order. If you email orders they can also use the link within the email to view the order online and acknowledge it. This link will by pass the log in screen and take them directly to the order. This link is a one time click so will only allow them to by pass the log in screen once; the next time they will need to enter their log in details. To acknowledge the order they will need to enter their own order reference and click the Acknowledge receipt of this order button. Your supplier will need access to your web portal . When the order has been shipped they can let you know by logging in to the web portal and adding the shipping details. When they have searched for and opened the order they will need to enter the shipping details in the comments section, and then click to save. Once the comment is saved the order will automatically update to your "shipped" status.